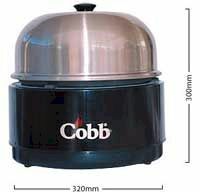 Cobb barbeque, the way forward! 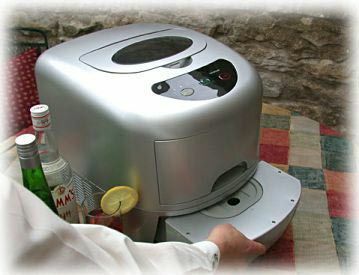 The latest trend in barbeques, cool on the outside, can be used indoors, runs for hours a small amount of fuel. Coated with an insulating material. Warm to the touch when cooking. 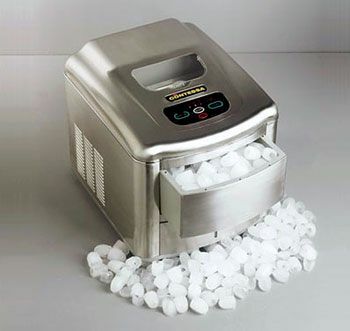 Grill A xylan coated easyclean cooking surface for roasting, barbecuing, baking and smoking. 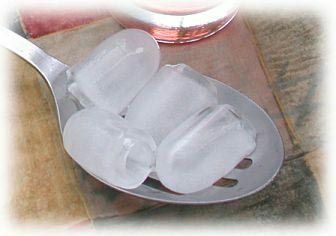 A lifting fork is provided for handling the grill when hot. Drains fat and oil into the moat. No mess, no smoke. Fire Basket & Pot Stand Stainless steel. Holds heat beads/briquettes when in the fire chamber. Bowl Pops out of base for easy cleaning. Fire Chamber Holds fire basket. Fire-lighters are placed in the fire chamber to ignite the heat beads. 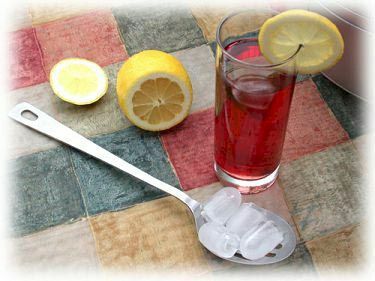 Moat Holds 250ml of liquid (water, wine or beer) and seasoning for cooking vegetables. Also, the liquid moistens and flavours the roast. Base High-tech polymer materials designed to keep the heat in and cold out. Always cool to the touch. Enables cooking on any surface. Has rubber feet and won't slide. Baking bread, cakes, pizza - anything - you name it! Barbecuing meats, whole chicken, vegetables, fish - you name it! Frying eggs, meats, fish - you name it! Roasting chicken, beef - you name it! Smoking fish, meats - you name it! Where to use it - you name it! The insulated high-tech base means that the underneath and sides are always cool and that the Cobb®, while cooking, can be placed on the most delicate surfaces without fear of damage. Hot canapés, sate, brochettes, cocktail sausages, you name it - Its portability means you can carry it to a point of distribution thus ensuring your friends and guests are served with piping hot food. Pack your heat briquettes, your food and utensils into the Cobb® bag and with the long shoulder straps, it's compact and easy to handle - no litter to be left behind. 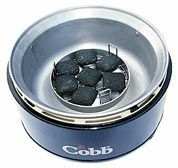 The Cobb® compactness and smokeless cooking makes it ideal for high density areas. Get the fire going and then cook under cover when the weather is bad - no smoking or choking fumes. A mariner's dream - self contained, highly portable, un-obtrusive but very effective. Top quality cooking under the stars in all weathers. 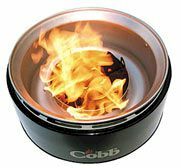 Cobb with heat beads in the fire basket and fire starters underneath in the fire chamber. Light up time is 20 - 25 minutes. Best to light outdoors. 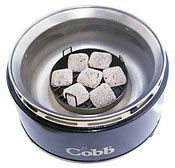 The Cobb will cook for three hours or provide heating for over four hours with only 6 - 8 beads. More beads can be added for heating. Vegetables, in foil, are cooked in the moat while the roast is on the grill above. 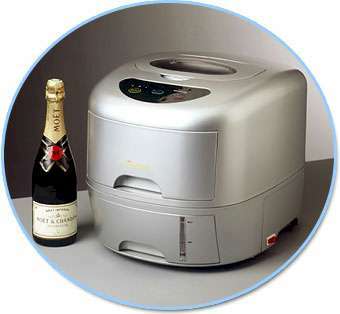 Water, wine or beer is added to the moat to steam the vegetables and moisten and flavour the roast. Five heat beads and a handful of damp wood chips are all that's needed for smoking. The hole pattern in the grill distributes the smoke perfectly. The dome is used when smoking. The result: Freshly smoked salmon fillets in 15 - 20 minutes. The essential Cobb barbecue set, containing the barbecue, handy carry bag and an illustrated recipe booklet. We try to deliver the next working day! 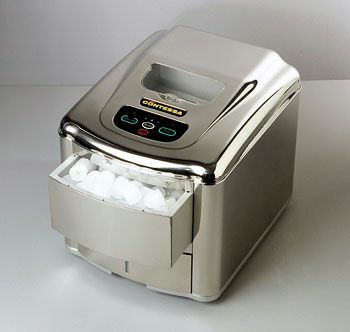 The Contessa Ice Maker - ideal for home use, children's parties, office and boardroom meetings, etc. 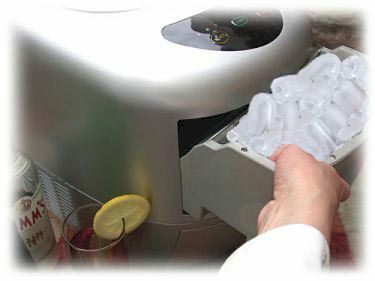 We have other options of ice makers available including a Stainless Steel version, Chrome finish and even a combined mains water connection/portable machine. 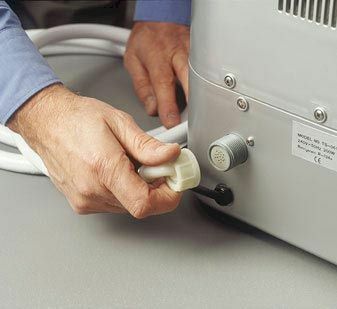 12 month no quibble exchange policy on this product, no drain required, maximum power consumption is 200 watt.